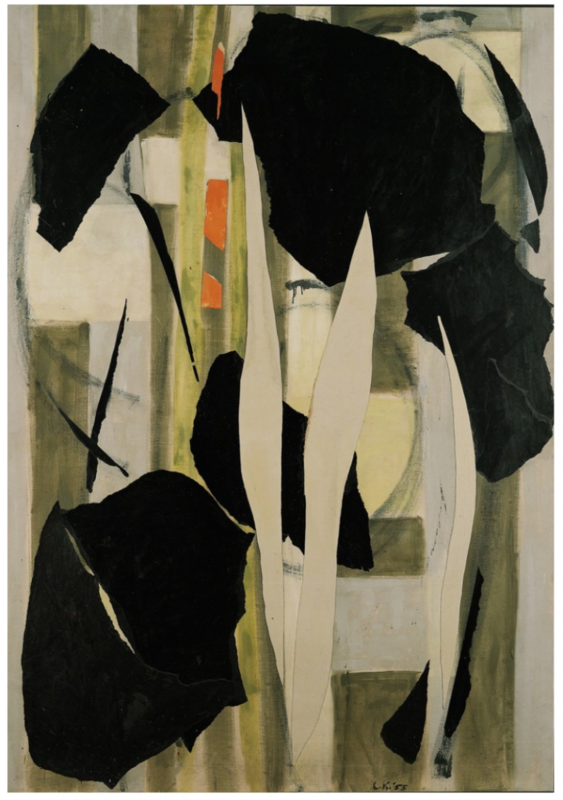 Contributed by Brece Honeycutt and Anne Lindberg / Mary Gabriel’s Ninth Street Women: Lee Krasner, Elaine de Kooning, Grace Hartigan, Joan Mitchell and Helen Frankenthaler – Five Painters and the Movement That Changed Modern Art (New York: Little Brown and Company, 2018) is a tour de force. The book explores many important phenomena from the period of 1929-1959, including the formation of the commercial art world, feminism’s blossoming, and the maturation of capitalist America. Her central purpose, however, is to reveal how five women painters lived, breathed, and made history via the new movement of Abstract Expressionism, which until now had been seem primarily through the lives of male artists. Gabriel grounds her book in primary sources, using both published and unpublished interviews with artists, researched from documents found in libraries, foundations and archives. The excellent index reflects the depth and intricacy of her research, and there are an additional 130+ pages of notes referencing oral histories, letters, interviews, and working papers as wells as secondary sources. But most importantly, Gabriel is a fine, lyrical writer who weaves together the lives of the five artists in both close detail and grand sweep. Fascinating facts punctuate nearly every paragraph. Here, we pull out just a few. There are plenty more. • The infamous “Ninth Street Show,” held May 21 through June 10, 1951, organized in DIY fashion by the artists themselves, put their art and the compelling new abstraction on the map. 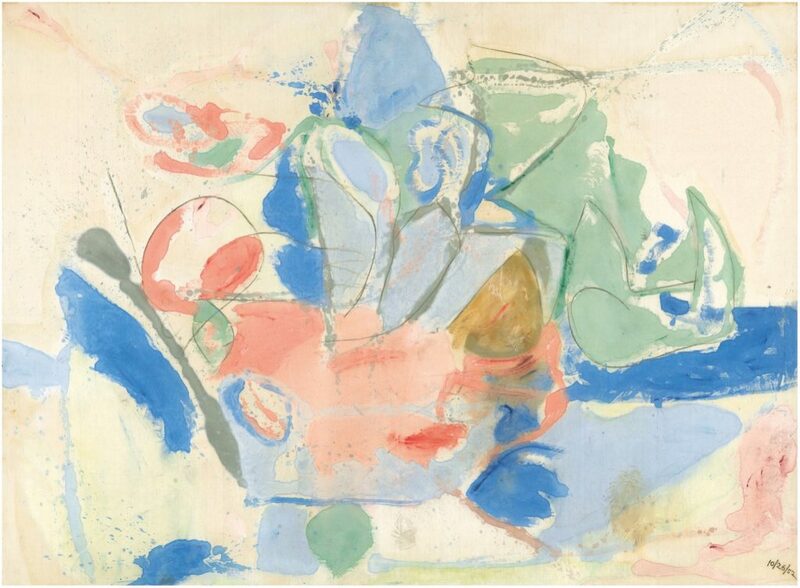 While the women included may have been thus recognized as equals of the men, of the 77 artists shown, only eleven were women, including the five—de Kooning, Krasner, Frankenthaler, Mitchell and Hartigan. • Elaine was a magnet who, in addition to her vital painting life, became an important art writer. In 1948, she met Tom Hess at ArtNews and from that point on was a rousing voice in the world of criticism in which “artists understood her role at ArtNews as fundamental to the expanding understanding of American avant-garde art.” In 1949, she began to write feature-length articles in ArtNews that brought the writer and the reader intimately into the artist’s studio. Her writing was personal, and at the same time revealed the intersection of painting, writing and social life within the New York School. • Lee understood the market price of a work of art versus the “value” of the work. After Jackson Pollock’s death, “Lee calmly instructed [his dealer] to quadruple Jackson’s prices and impose strict controls on how many of his works could be sold and to whom. Her directive stunned the art world. One could argue that it has not been the same since.” Lee’s actions meant that art could now command higher prices. 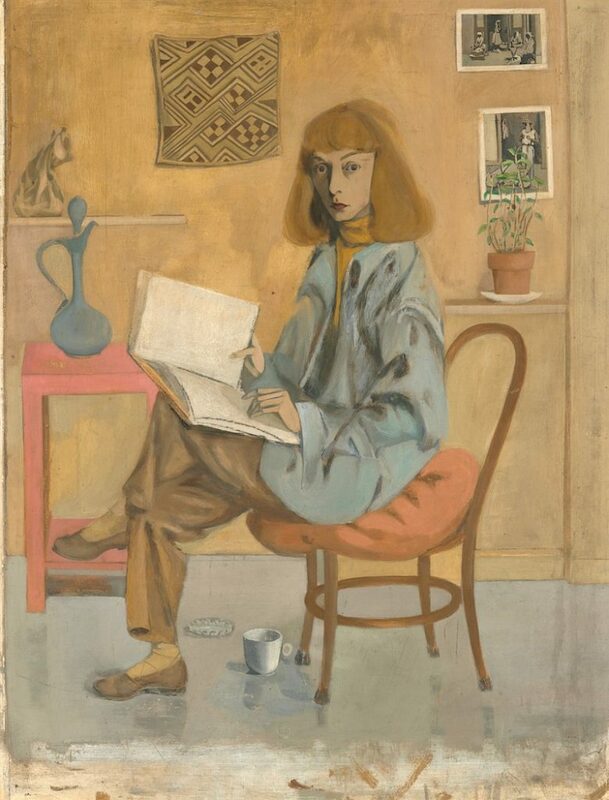 She continued to run the Pollack estate for 16 years, and after giving it up, she declared, “Now, I can once again concentrate on being Lee Krasner.” She painted and exhibited in both the United States and Europe and was the first woman to receive a retrospective at the Museum of Modern Art, in 1984. Lee left $20 million in cash and art as a result of her business acumen, establishing the Pollack-Krasner Foundation, which has benefited countless artists with grants. • As Tibor de Nagy became the center of the Second Generation artists, Helen was offered a show there in 1951. At the time, Life magazine was featuring photograph-dense stories on many of the New York School artists. Subscribers to Life quickly increased to five million readers. On January 15, 1951, the now famous photograph of The Irascibles was published. Hedda Sterne was the only woman pictured. • MoMA acquired Grace’s painting The Persian Jacket in 1953. She thus became the first Second Generation artist – male or female – to have a piece in MoMA’s permanent collection. 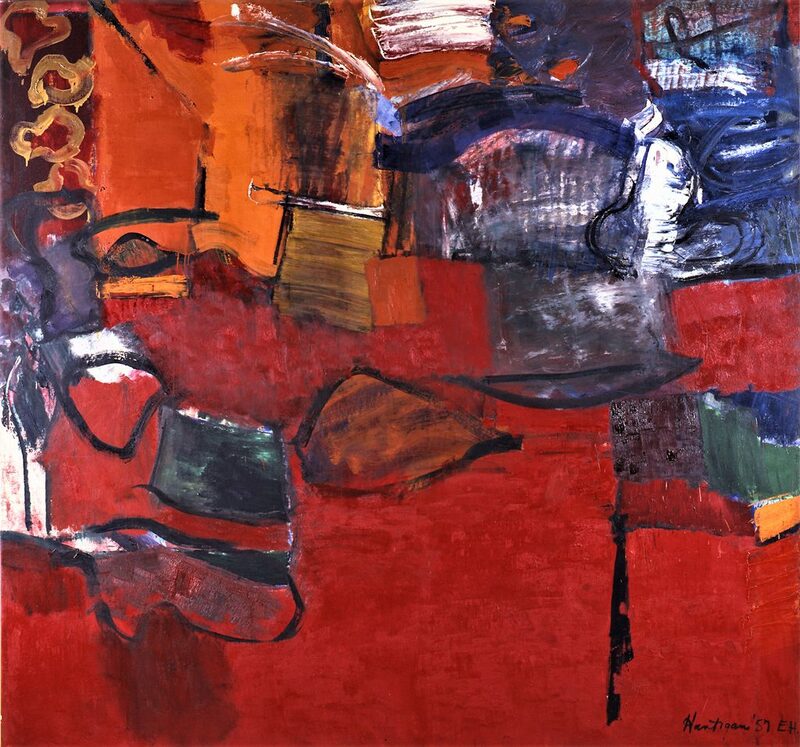 Grace went on to become a much-beloved teacher at the Maryland Institute College of Art, where she founded the graduate painting program. A breakthrough artist, her true power was color. • The art world became a “full-fledged” part of the consumer economy characterized by sophisticated art dealers, “black-tie night time auctions,” and glossy magazine articles. Gabriel notes that a 1950 tax laws introduced in the 1950s allowed art collectors to take a deduction on art purchased with an eye to eventually donating the work to a museum, even if posthumously. Peggy Guggenheim commented that “the entire art movement had become an enormous business venture. Only a few persons really cared for the paintings. The rest bought them from snobbishness or to avoid taxation… Prices were unheard of. People only bought what was the most expensive, having no faith in anything else.” Sadly, Elizabeth Baker observed, “Women were slowly squeezed out first from galleries, and then from museums, since museums rely heavily on dealers.” Not only were they marginalized in the art market; they were also written out of the art history books. As Grace spoke, she didn’t dwell on the fact that that she was a woman artist or that other women formed an important part of the Abstract Expressionist group. But each time she mentioned a woman painter or sculptor, I found myself wondering why, in the official history, those names so rarely surfaced. Their contributions were significant. In fact, in the cases of Lee Krasner and Elaine de Kooning, the movement would not have existed or unfolded without them. And yet, the story of that moment has been taught and accepted as the tale of a few heroic men. Gabriel has wisely selected a group of five brilliant artists to start the story, but there were of course many others. She includes a link on her website where visitors can add women artists to a growing list. Is there perhaps another book in the making? About the authors: Brece Honeycutt makes nature-based and history-based drawings, sculptures and installations. Currently, she is the Artist-in-Residence at the School of Art and Design, F.I.T., and will return to the house and gardens at Naumkeag this summer as an Artist-in-Residence. Anne Lindberg’s work has been exhibited throughout the United States and abroad at venues including the Museum of Fine Arts Boston, The Drawing Center in NYC, the Museum of Arts & Design NYC, The Mattress Factory, the Contemporary Art Center Cincinnati, the Atlanta Contemporary Art Center, Tegnerforbundet in Oslo, Norway, and the SESC Bom Retiro Cultural Center Sao Paulo. She currently has work in “Topologies,” an exhibition curated by Mika Yoshitake from the Howard and Cindy Rachofsky Collection, at The Warehouse Dallas. 11 women artists in the show not 5! Such a engaging book. While initially I found the length daunting Gabriel writes so well that I devoured it. One of the strengths of the book for me was setting the artists in the broader context of American and world history. There is so much to digest in this book that I will probably need to re-read it, not that that would be a chore. 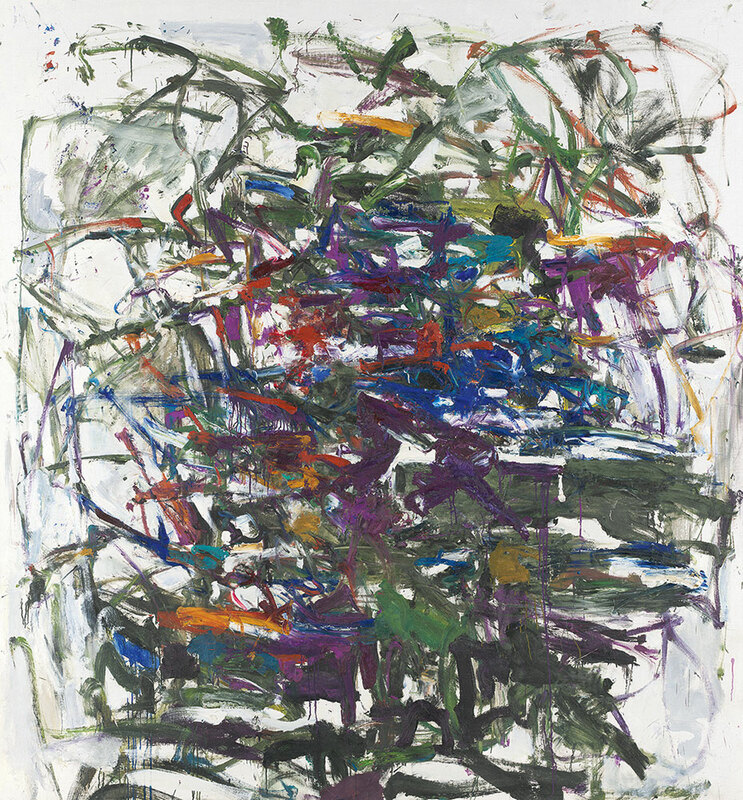 I will be heading out to the National Gallery of Australia to check out their Krasner paintings and I believe there will be a Joan Mitchell print show soon.